1. A cooking class so that aspiring Chopped contestants and kitchen nightmares alike can hone their skills. Choose your location and then see the hundreds of classes offered near you. They have seasonal classes including Holiday Tamales, Holiday Beef Wellington Supper, Winter Holiday Macarons and more, plus basic how-to classes to help you learn a new technique. Get it from Sûr La Table starting at $25. 2. 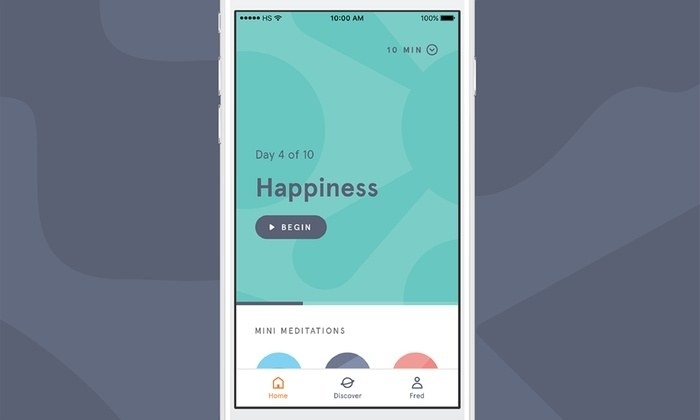 A membership to Headspace, a guided meditation app to help them develop meditation and mindfulness practices, reduce stress, and improve focus. 2018 has been a year. Maybe this will help? Promising review: "This app is really well organized and offers SO much. I’ve been using it a few weeks and can already feel a difference." –Allison B. 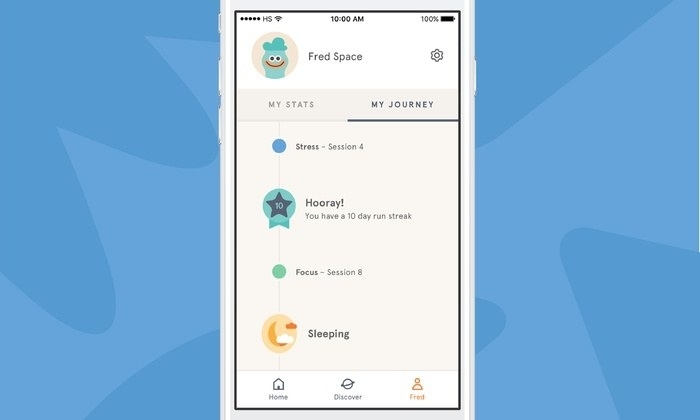 Get it from Headspace for $12.99 for one month, $95.88 for one year, or $167.67 for two years. 3. A premium subscription to Skillshare so they can access thousands of online classes in everything from custom gif animation to coding to outdoor photography. And every class has a project so you can get feedback on your work! Skillshare's premium offering will give them access to 18,000 interactive video classes in creative, technological, business, and lifestyle buckets, as well as ad-free, offline access. Get it from Skillshare for $36 for a three-month membership, $60 for a six-month membership, or $96 for a one-year membership. 4. A gift certificate to ClassPass to try thousands of different fitness classes, because let's be honest: exercise. is. so. BORING! ClassPass lets you find and book tons of different varieties of fitness classes, so they can sweat from above with aerial yoga on Monday and get out their aggression with cardio boxing on Wednesday. It's available in more than 50 cities around the world. ClassPass offers packages for different numbers of classes per month, and pricing varies by location. Get a custom gift card from ClassPass. 5. An America the Beautiful National Parks Pass, so they can experience the majesty of this country's national parks (before they're sold for scrap). The pass will get two people into any national park or federal recreation site for a full year, so that's 12 months of INCREDIBLE Instagram opportunities (or, as my friend Jamie says, Instatunities. I hate that I love it) — I mean, nature. They'll get a hard copy of the pass in early January, but you order from Discover the Northwest, you can download a PDF gift letter to let them know how thoughtful you are. Get it from Discover the Northwest or the US Geological Survey Store for $80. 6. A Blue Apron trial, because a week where they don't have to worry about grocery shopping is an incredible gift. For the unacquainted (AKA those who don't listen to podcasts), Blue Apron is a service that delivers three recipes — and all the (pre-portioned) ingredients you need to make those recipes — to your door each week. Each week offers a different menu (this week includes cumin and Sichuan peppercorn-glazed pork, mushroom and potato tacos, and tilapia and black lentil salad), and there are vegetarian and pescatarian settings if you prefer. Get a gift card for Blue Apron starting at $60. 7. A membership to a museum in their area for a year of culture (and, even better, smugness about that culture). If you need museum suggestions, check out TripAdvisor's list of their users' 25 favorite museums this year. 8. A one-hour private golf lesson with a PGA pro, the perfect gift for golf dads (of course, I'm using "golf dad" as a genderless term). Lessons are available in various locations across the country (so you can be the favorite child no matter where you live). Get it from Cloud 9 Living from $129. 9. A weekend getaway so they can escape the drudgery of Monday through Friday (while remaining close enough to get back to the drudgery in time for Monday's inevitable return). You should probably make sure you subtly check on their availability before you book a weekend. For example, you might casually ask, "Hey, what are you doing for the entire weekend the weekend of the 14th? Not just part of the weekend. The entire weekend." Find drivable getaways by location from Groupon starting at $47+/night for New York locations. 10. A gift certificate for a personalized vitamin regimen from Care/of, because they're going to need energy for all these exciting experiences! Okay, this one isn't strictly experiential, but they will get to personalize their own daily vitamin regimen, which is kind of an experience! Care/of is a service that selects and packages vitamins for you based on your lifestyle and health goals, and sends them to you each month (read our full review of Care/of here). Also, you can customize the message on every pack of their vitamins, so you can give them a sweet message (or a Jaden Smith quote, or a fun fact about penguins...the wor(l)d is your oyster!) every day. Send a gift of vitamins from Care/of starting at $5/month. It's not too late to give the gift of lasting memories!